Accessorize for every occasion with stylish, flattering jewelry that you make yourself! 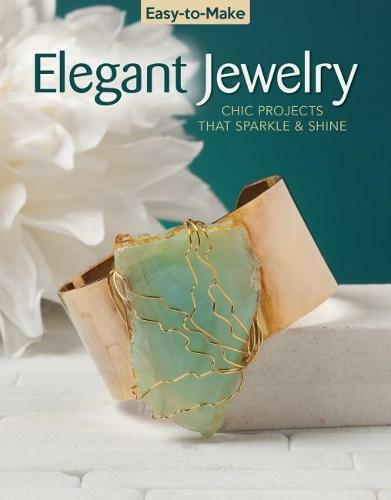 DIY Elegant Jewelry offers 20 unique projects that you can create in just one afternoon. From a delicate multi-strand evening necklace to a pearl beaded bracelet or coral swirl earrings, each of these beautiful creations will bring any outfit to life. Even if you never made jewelry before, step-by-step photographs and simple instructions get you started. The authors explain all of the basic techniques you need to know, including crimps, loops, cutting chain, cord ends, and more. Projects are arranged by level of difficulty--from beginner through intermediate and advanced--and use only inexpensive materials that can be easily found in craft and hobby stores. E & G Crafts Co.